Kukui nut oil is an oil I had never heard of until I started researching natural oils that I could use on my relaxed hair. It's an oil that I haven't seen a lot of, but have found to be an up and coming oil that is growing in popularity. It's starting to show up in ingredient lists for shampoos and conditioners because of many benefits it provides. A semi clear to yellow oil in color, kukui nut oil comes from the cold pressing of the Candlenut tree which is the state tree of Hawaii. Like many other oils made from nuts it contains the essential fatty acids linoleic and linolenic which have anti-inflammatory and moisture retentive benefits. To incorporate this oil into your relaxed hair regimen you can use it as a sealant, for a scalp massage or add it to your conditioner or shampoo. 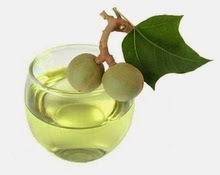 You can find kukui nut oil in health food stores and online. 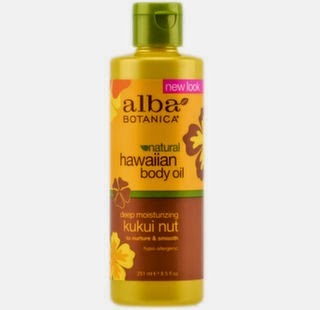 Have you ever used kukui nut oil by itself or in a hair care product?